Once again the TDE emcee delivers the goods with an incredible live performance at the 58th annual GRAMMY Awards. Wow. Wow. Wow. Wow. Wow. Wow. Kendrick Lamar has a habit of turning in captivating live television performances, and tonight, a night in which he won five GRAMMYs, he delivered his most passionate, fiery, and unapologetically real performance yet. 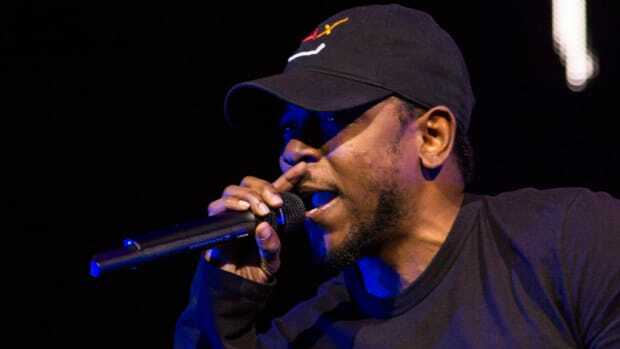 The aptly-named "Untitled 3" featured a medley of some unreleased material, "The Blacker The Berry," and Kendrick&apos;s nominated single, "Alright." We plan to break down the performance in great detail in the coming days - there’s much to discuss - but sometimes music leaves even the most talented wordsmiths without words. For now, just watch greatness. Also: Read our LIVE GRAMMY blog. The GRAMMYs denied Kendrick the big awards but when we talked to the Academy's president he called K. Dot's performance "unbelievably powerful." Kendrick was the first official musical guest on Colbert's new Late Show and he set the bar extremely high. A look at all the winners (Kendrick), losers (Kendrick) and everything else you care about from music's biggest night. Did you know Kendrick was signed to Def Jam? The multiple GRAMMY nominee looks to invoke change for a younger generation. On the eve of the biggest night of his career, some exciting news about the TDE emcee is brought to light. I don't know what else to tell you, Kendrick's simply the best doing it right now. K. Dot racks up 11 nominations including the Album of the Year.